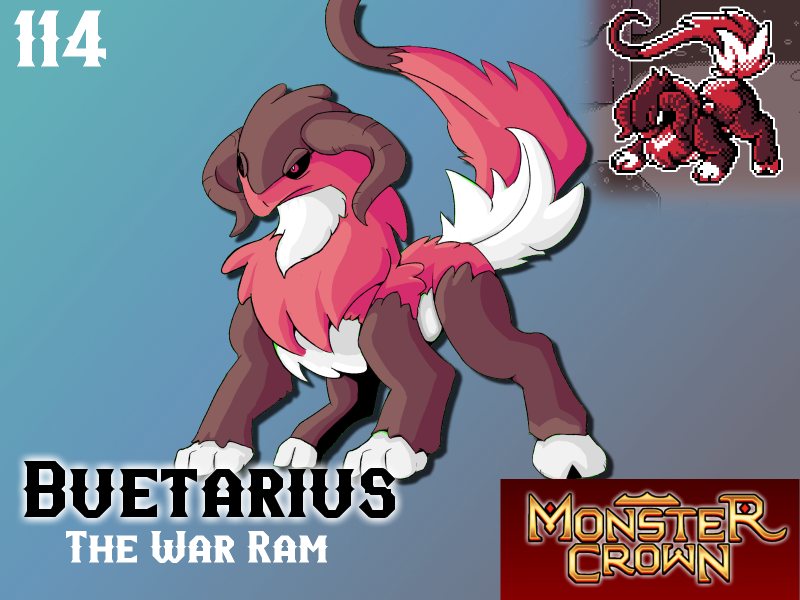 An army of Buetarius appeared as if from thin air amongst the Dark King's ranks during the final days of the war. Trampling over the fallen Domigon and Human alike they charged the monster allies of man with a sheer force that no one could have expected. As if their sheer force was not enough of a threat, Buetarius came armed with the ability to spew large plumes of blue flame from their mouths, hot enough to melt even steel. After the war was over, two seasoned Monster researchers collected a fallen Buetarius for their studies. Their findings revealed a worrying secret - Buetarius was not a monster of magical origin like the Domigon or a crossbreed of any known monster. A Buetarius has not been seen since. Will Buetarius make your team?